The 7148 dwt motor vessel North Spirit foundered near Cape Ortegal, Spain in the Bay of Biscay. The vessel had a cargo of lumber from Oskarhamn, Sweden bound for Bejaia, Algeria. 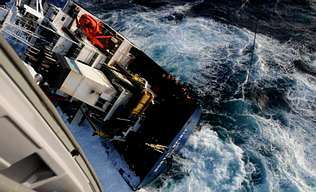 The vessel suffered a heel in a heavy tide and presumably the cargo shifted. This developed into a dangerous list to port. 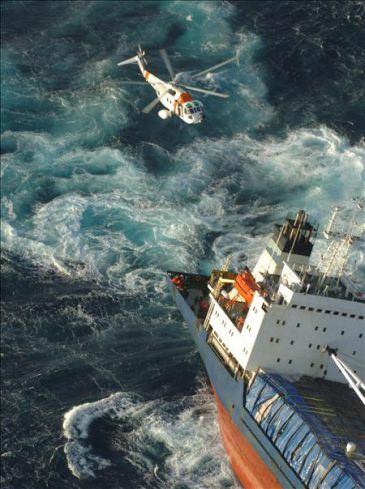 The North Spirit sent of a distress call and Spain sent out helicopters who were able to rescue all 17 crew onboard. No reports of causalities or injuries.